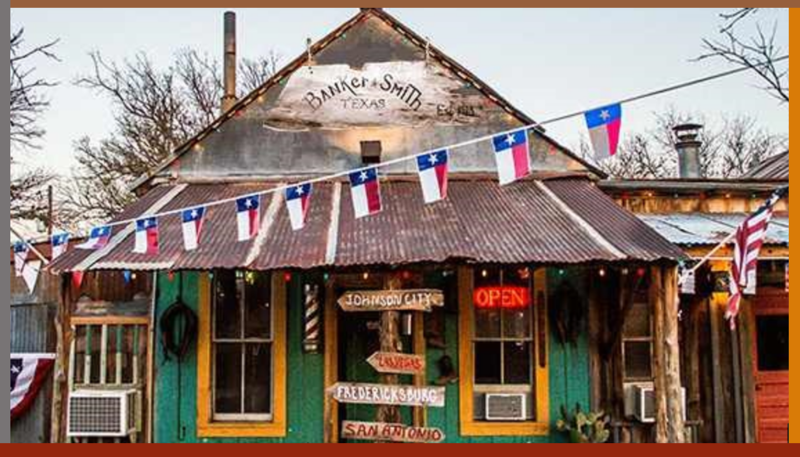 ​​​​​​​BANKERSMITH (near FREDERICKSBURG) – Bankersmith, the former Texas ghost town purchased by Austin restaurant and bar entrepreneur Doug Guller, is on the market. Guller, who bought the 1.6-acre property ten miles south of Fredericksburg in 2012, renamed the locale “Bikinis, Texas” in tribute to one of his most successful business endeavors—Bikinis Sports Bar and Grill. Bikinis has reverted to its former name Bankersmith​. Bankersmith, which includes a 5,500-sf dance hall and 2,464-sf saloon, has been used predominantly for special events and weddings. Viney Stang: You're meddling mister.